New York, March 10, 2014 – The U.S. Department of Housing and Urban Development (HUD) recently designated the New York Mortgage Coalition as a HUD Approved Housing Counseling Intermediary, a distinction that enables NYMC’s network of community housing agencies to participate in collective grant opportunities while enhancing the level of support NYMC provides its agencies. The designation, which recognizes NYMC’s 20-plus years of advancing affordable homeownership, also positions the organization to grow its agency network both within and beyond the New York Metro area, providing even greater value to its existing partner agencies and lenders through peer-to-peer networking and knowledge-sharing across diverse geographies. As a HUD intermediary, NYMC has been approved to provide comprehensive housing counseling services, which includes: Financial Management/Budget Counseling; Mortgage Delinquency and Default Resolution Counseling; Pre-purchase Counseling; Predatory Lending Education Workshops; and Rental Housing Counseling, just to name a few. 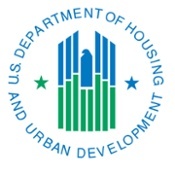 NYMC will oversee the provision of HUD funding to housing agencies that provide these services, while also coordinating training and technical assistance to help agencies maintain HUD compliance and ongoing quality control. Since its inception, NYMC has provided homeownership counseling to more than 45,000 low- and moderate-income families, guiding 10,000 of them through the purchase of their first homes. The organization’s rigorous pre-purchase counseling program has proven effective at minimizing foreclosure rates—less than two percent of loans originated through NYMC result in foreclosure.